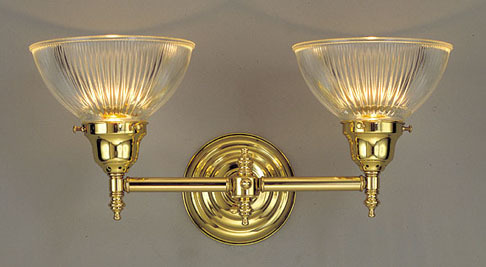 This two light Art Deco style wall sconce has its width set as custom as you'd like it. Holophane style 'Bowl Shades' with their prismatic grooves really completes the Deco period here. Width 16 In. or Custom / Projection 7 In. / Depth 8 In.